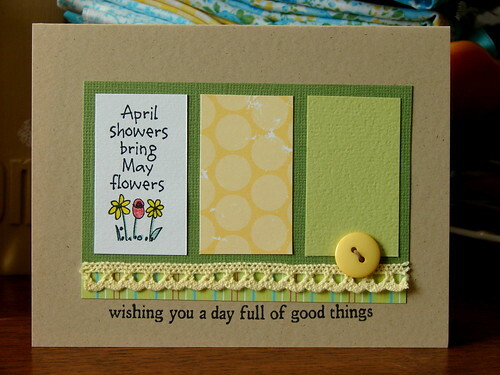 to share with you using the April Kit from Scrapbook Circle. Kind of funny how this month's kit will be my last that I design with for SC (my term for their DT ends with this month) and it's my favorite kit of theirs ever! 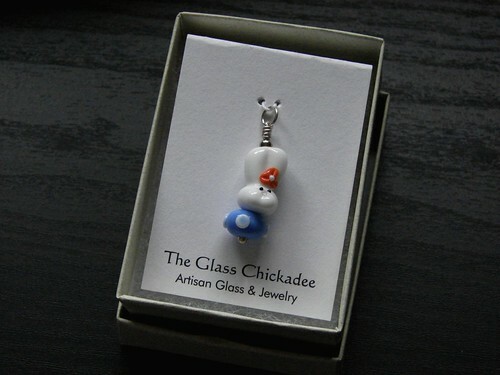 I just wanted to share a purchase that I made from one of my favorite Etsy seller's, Kristy Kempinger, owner and creator of The Glass Chickadee. I love her beads and glasswork so much but I always feel so guilty purchasing something like this for myself (I know, I'm crazy) but a couple of weeks ago I saw that Kristy made some fun whimsical beads (one of which was the bunny above) and I thought it would make a fun little gift for Zoey. I didn't end up getting it right then and the other day while checking out my favorite Etsy seller's (her shop included) I saw that it was on sale for just $6 (she has weekly specials that you just have to check out!). I snatched it up right away and can't stop looking at it...I can't believe all the work that had to have gone into just this one little bead. So cool. Oh, and another thing that makes it even more cool, Kristy just happens to live here and has become a friend of mine too, she actually taught me how to make handmade soap at one of our MOP's meetings a couple years ago. So neat to know so many creative women and to be able to support one another's crafts and artistic endeavors in this way. Etsy just rocks! Another layout for Marks Paper Company...really love their papers. 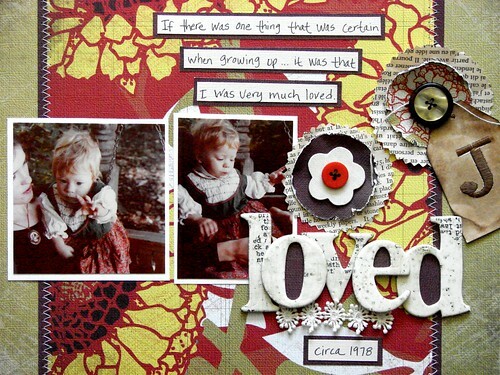 This particular pattern inspired me to dig out some of my old baby photos to scan and thus use for the below layout. Really am happy with the way it turned out. Be sure to stop on over to visit the MPCo. gallery as lots of stuff is being added for inspiration...also be sure to check out the MPCo. blog now and again, I am told that the Spring Release sneak will be coming soon! 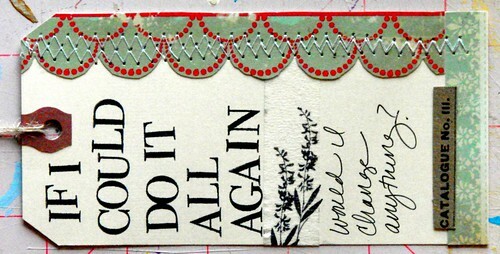 I really had some fun with the April kit from Scrapbook Circle last night, can you tell? Sometimes you create a layout that you really love and it's okay to tell the world that you do...this is one (the one below) of those layouts for me, I just love how it turned out and it's one of those that I know will be fun to look back on for both Zoey and I. Being a snack leader at Pre-K is pretty darn important and Zoey always wants to make a special thing of her responsibility of it and I love helping her do just that. I've got a ton more stuff left over from this kit so I'm hoping to get a bit more crafty time in soon...don't forget about the Scrapbook Circle Design Team Call, you can learn more about it here! 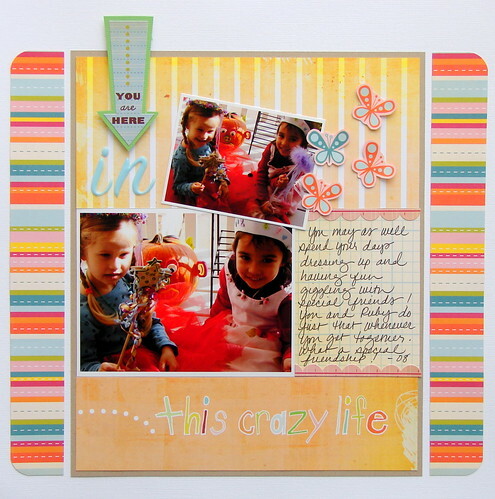 Scrapbook Circle April Kit + Design Team Call! Here are some yummy sneaks of the April Kit for Scrapbook Circle...looking forward to getting some time to start digging into this one as it arrived at my door just today! It's kind of bittersweet as this will be my last month designing for Scrapbook Circle, it's been a wonderful team to be a part of and Lisa has been the absolute best all throughout my term with Scrapbook Circle. Now I'm glad to let some other lucky lady take my place! Here are the details...hope some of you try out for it! 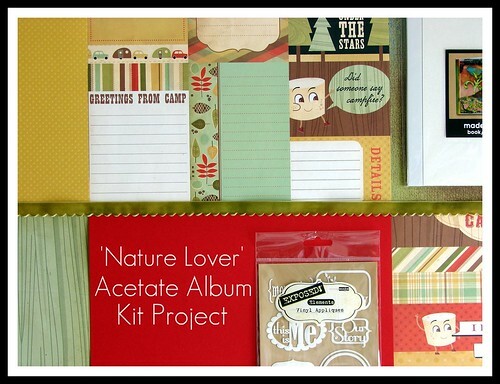 Our monthly kits of newly released scrapbook supplies delivered to you! What do you do if you are chosen? All submissions are due by Wednesday, April 8. New design team members will be announced by Wednesday, April 15. The new DT members will start with the May Kit. 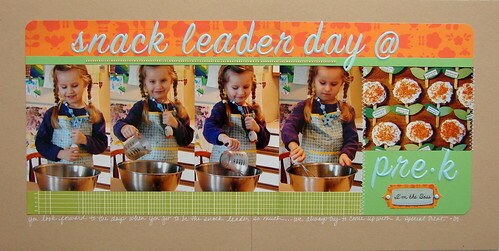 Another one of my layouts is published in the February issue of Scrapbook Trends Magazine. There was a mix-up initially and I didn't get my copy of the issue on time, that's why I'm sharing it a month late! 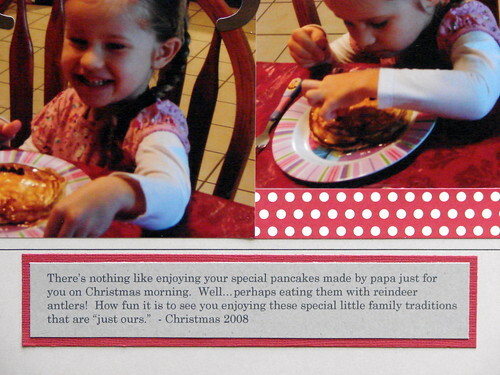 This was my first time getting published by them and I love the publication. We don't get this magazine here and I love that they feature one layout per page and do such a nice job with the presentation of each project. One last fun share...I found out this morning that I won a gift certificate to Two Peas in a Bucket for participating in one of their most recent community challenges! Woo..hoo! It's been a great start to the day! And other things...trying to streamline my blog a bit, it was getting too cluttered for my liking. Please pardon the dust while I do a bit of Spring cleaning in blogger-land! just enjoying the process of creating them in little found pockets of time here and there for now. Ruby's mom sewed mermaid tails for all the little girls at the party and you can kind of see Zoey's "tail" there when she is sitting in the rocking chair. It was a good Spring break here! just busy as heck! Still managed to squeak out a little card for the first day of Spring, though it's actually snowing here right now if you can believe it (stamps are by Hero Arts). 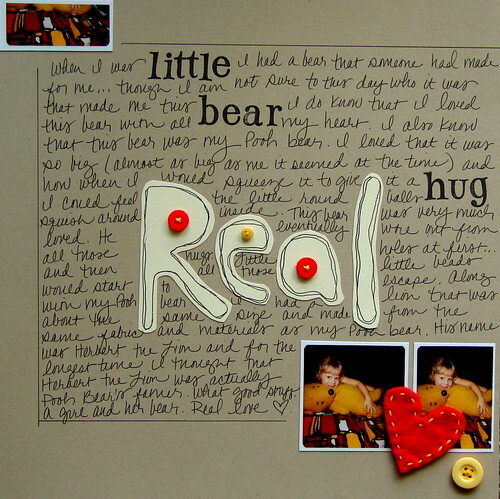 Also managed a layout for this week's One Little Word challenge...the word this week being "real." It was funny, when trying to scan and print this photo of me when I was younger, I by mistake selected wallet sized prints. Instead of just tossing and re-printing I decided to use them and incorporate the extras into the layout for part of the design. Kind of a different layout, but I like it! The only supplies that I used for the above layout were cardstock, buttons, embroidery floss, a scrap of felt, my pen and some alphabet stamps (Hero Arts). It was kind of fun to not use traditional scrappy supplies for once. I think the sepia toned photos worked out with this paper perfectly...the color scheme is so rich feeling, just love it! 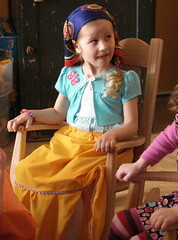 These were photos that I had taken a couple weeks back when Zoey was getting ready to go to dance class. I took a close-up picture of the flowers (large ones are by Heidi Swapp) because I wanted to show that I overlapped two and then stiched along the middle of each petal on the front flower for an added bit of dimension. Also, check out this adorable "Spot of Tea" set that Pam Callaghan (another MPCo. 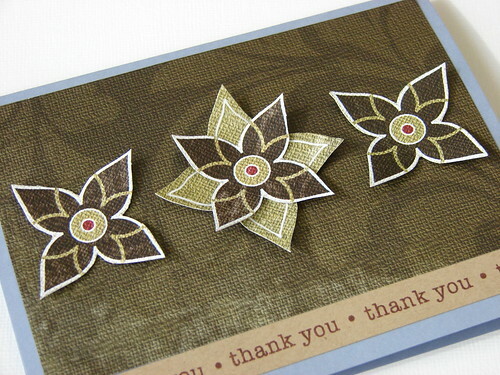 designer) created using Marks Paper Company papers...this is such a sweet idea for a gift! I made another one! This one is for a special little friend of Zoey's who just happens to have a birthday this coming week. 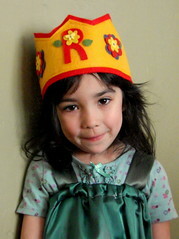 I chose bright colors because this little girl is like a little firecracker and has such a fun attitude and disposition! Can't wait to see her wearing it! 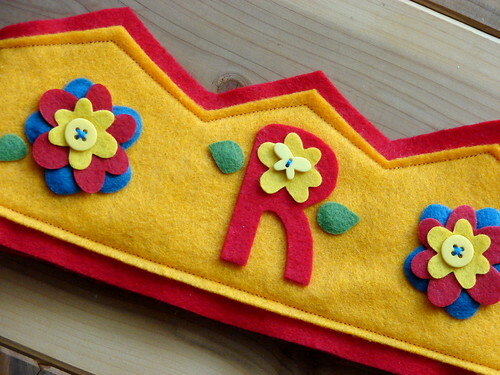 On this one instead of three bunches of flowers, I added an initial in the middle w/some smaller flowers/buttons. Now of course Zoey wants one with a Z on it! To view the one that I made for Zoey (it was a Christmas gift) click here. Tomorrow officially marks the start of Spring Break week! So excited to have both Ethan and Zoey home all week...and what's even more, it's actually starting to feel like Spring could in fact be on it's way! It was 38 degrees today and the snow is melting! Hooray! Wishing you all a wonderful end to your weekend! Just wanted to share that Marks Paper Company is currently having an open call for Digital/Hybrid designers to add to the team! It's a fantastic group to work with...and Stacy and Patty are just the best, I hope some of you decide to try out for it! To learn more about the specifics of the call, check out their site here. 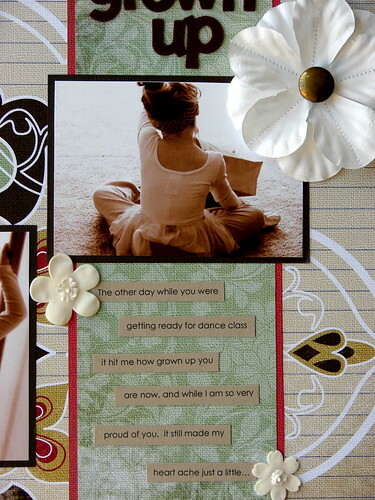 Currently I am putting together a card class for my lss using papers from Marks Paper Company...I am so excited about this class because the proceeds from it are going to support a cause that really means a lot to me. I'll share more on this later, closer to the date of the class (sometime in April). For right now though, I've got two of the cards created and the class kits cut for both and am planning on adding two more cards to the class. Here is one of what I've come up with so far. Love this paper so much! Hoping to incorporate several techniques within this class such as: paper-cutting, doodling, embossing, paper-tearing, distressing and more! 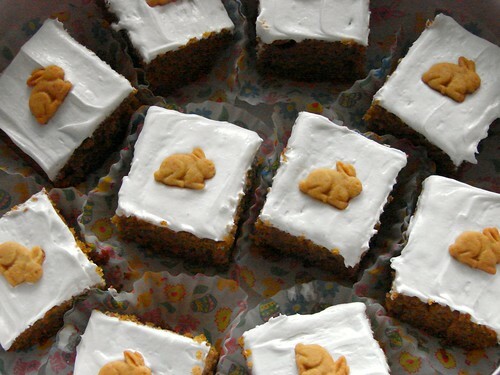 This week Creative Imaginations is featuring artist, Christine Adolph on their blog. 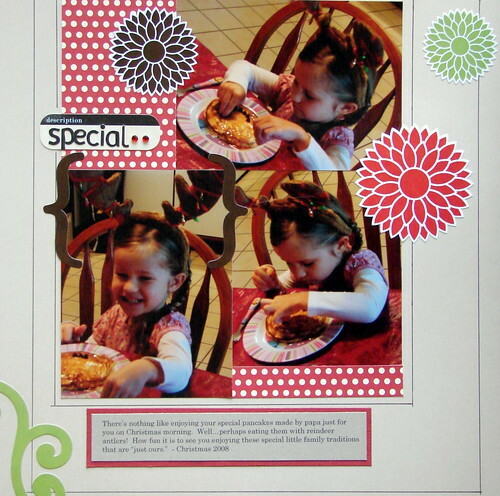 I created the project below using the Everyday Gourmet Collection that she designed and was thinking that it would be a nice gift for a wedding or a shower. 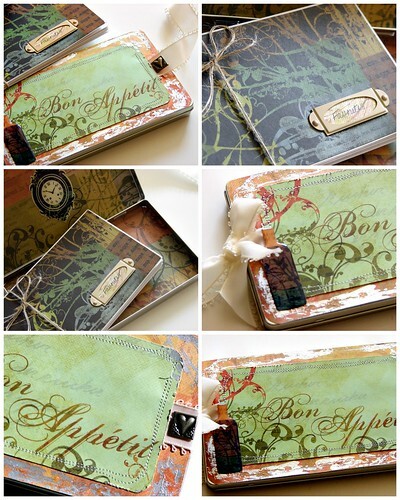 I altered one of the Bare Elements Jun Tin's using the papers from the Everyday Gourmet Collection and included favorite recipe's in the accordian folded book of papers that are enclosed. I also added some of the Bare Elements, Foils to the outside of the tin for a bit more pizazz! For icing, beat cream cheese, sugar, butter and vanilla in a small bowl. Add enough of the milk to achieve desired spreading consistency. Spread over bars. And a fun song to start your day off on the right beat! We Love You Grannie Annie! Ethan's mom is now home safely from her visit...probably napping I'd bet after spending lots of time with this little firecracker! 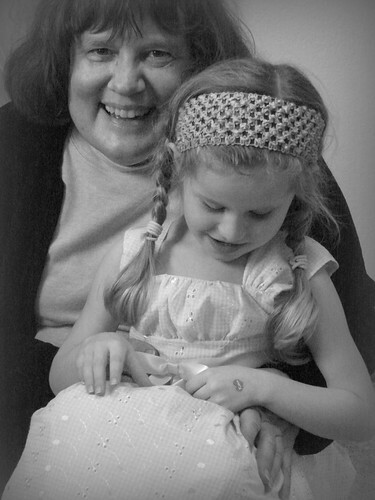 Thank you Grannie Annie for spending the past few days with us, it was such a nice visit! I watched this clip the other day for the film Who Does She Think She Is? I am hopeful that this is something that I will get to see. Yesterday while listening to Wisconsin Public Radio I heard a really good program with the guest, Stephen Hinshaw, the author of the book, The Triple Bind: Saving Our Teenage Girls From Today's Pressure's. Really interesting (if you like you can listen to the audio of it here in the WPR Archives). They talked about how today's young girls are being told that they need to excel in all areas of life (athletics, academics, to be nurturing yet independant, beautiful, etc.) and how it is causing risks to their sense of self and well being. Some of the studies that they shared throughout the program were really interesting and alarming as some of these tendancies for social pressure and consequences thereof are starting as early as the third grade. I will be requesting this book from the library for sure. Another video clip that I recently happened upon is one of the TED Talks episodes featuring the author of Eat, Pray, Love: One Woman's Search for Everything Across Italy, India and Indonesia, Elizabeth Gilbert. Lots about trust and just showing up for what it is that you have to do. I think that creative people sometimes have this sense of guilt...as though their "work" isn't or shouldn't be "work" at all. The sense that is gained from the actual act of the creativity is so amazingly powerful and the sense of satisfaction can be so great at times that it's almost embarrassing to share it with someone that doesn't perhaps "get it." I think that's why it's possible to be walking next to someone for month's upon month's of time all the while not knowing that they spend their evenings sewing in their basement or throwing pots on their potter's wheel in the early morning hours. It's funny how you sometimes feel like this act of being creative is something that you should keep a secret. Perhaps this reason is that it's something so personal, an extension almost of who it is that you truly are. And then once you put yourself out there and expose who it is that you are, how much fear there can be...or fear that people can expect of you (you'll get this if you watch the above video). 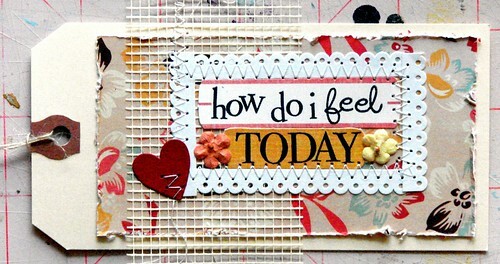 Perhaps enough rambling about my thoughts today! 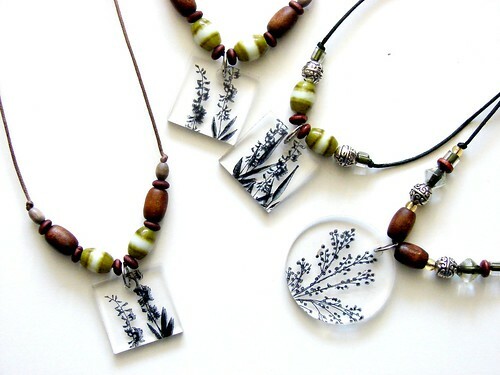 Pictured below are some of the necklaces that I made over the weekend for my mother-in-law. I made a total of six, but just took photos of these four. The acrylic pendants are from D.Reeves Design House. I stamped the images on them using Staz-On ink. 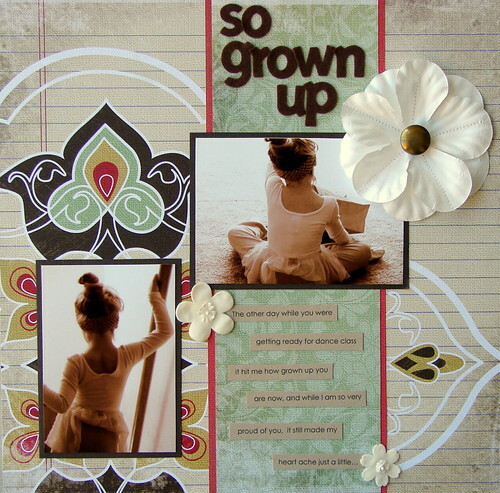 My First Online Class is Being Offered at the Paper Studio! I am so excited to share with you my first online class that is being offered through the Paper Studio Online Classroom! 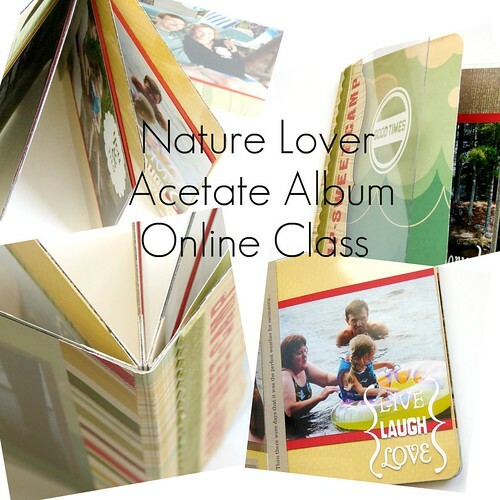 It is an adorable Acetate Album that is perfect for creating as a keepsake of special memories of time spent at the lake, camping, at the cottage or simply fun times spent enjoying the outdoors. This class features the Cosmo Cricket, Mr. Campy Collection and you will get to use the fun Vinyl Appliques by Scrap Works as well. In order to take this class in it's online format you will need access to internet and a working email address (this is how we will invite you to your very own private classroom where you will have step by step tutorials, view of detailed photos and instruction, access to a gallery where you have the option to upload your project photos to share with others taking the class, and more!). Once you decide to purchase this online course, all you need to do is either give us a call at the studio, 715-356-6464 and place your order and we will then ship you the class kit (pictured below) or stop in the studio (if you are local) and purchase it there and we will give you the class kit. You can also email us at create@paperstudioink.com and we can then give you a call and place your order over the phone. Next, we will send you an invitation to the private classroom via email and you will have access to the online classroom and you can get started on working on your project whenever you wish! The great thing about this is that you will be able to work at your own pace and whenever you like! I hope that the flexiblity that this type of teaching provides will allow you to get more use from your precious and much valued time. Please note that there are a limited amount of these kits available so once they are gone, they are gone! 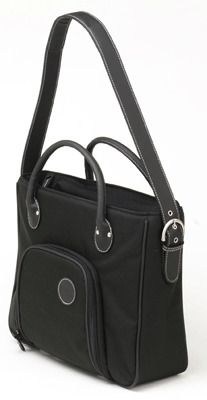 Check out the Marks Paper Company Blog for information on an awesome giveaway. Two individuals will receive one of two complete collections of their beautiful papers! These papers are so fun to work work...I love that each paper is double-sided and that they are cardstock weight papers that are made from recycled materials. And, did you know that they were designed to look like fabric? Check out that textured look...really great stuff! right? I found this hilarious dish towel here...and I know that Ethan would appreciate my having this gentle reminder every now and again. I love that in the product description it says "Simple rules for a happy and harmonious domestic life." Ha! you can find those here. I think these notes by Knock Knock are a hoot...and perhaps something that (a..hem) I probably would have used in all seriousness at one point in my life. Hope you are all enjoying a wonderful weekend! Pictured above are two sets of my favorite clear stamps by Creative Imaginations. They are awesome! Sometimes when I get clear stamps it seems that there is a film on them and I can't get a clear stamped image until I wipe them down or use them several times, that is not the case with these stamps! I got a clear image right off the bat and they are of very high quality, and the designs are just cool, I love them...can you tell? Pictured above are: Alphabet Stamps + Journaling Stamps. Right now they are on sale for just $8 on the Creative Imaginations website. Is that awesome or what? 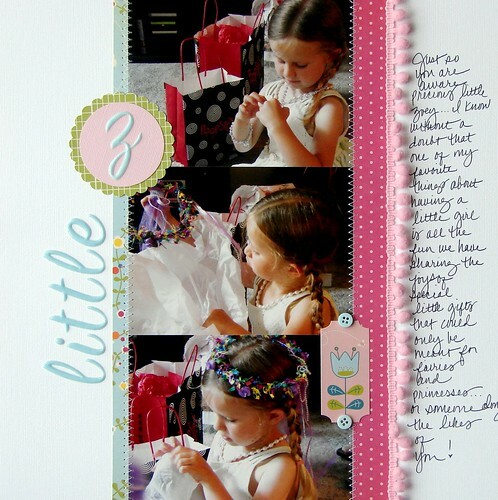 The layout below uses all Creative Imaginations products with the exception of the cardstock (Bazzill) and the trim (Making Memories). The stamping was done using some of the awesome stamps from the Narratives clear stamp sets (there are three of them and I love them all!). The photo was one of my favorites of Zoey after her first performance of the Nutcracker...she was so tuckered out when the evening was through and all the excitement had passed, glad I got this shot. Now today I am getting things ready for a visit from Ethan's mom...if all goes well, she'll be arriving sometime on Saturday and staying throughout the beginning of next week. Fun times are in store for Zoey for sure when a Grandma visit is in the works! I'll be getting to spend some extra time working at my lss too, so that's always a fun thing too! This was a fun and easy project and perfect for the season that is sloooooowly approaching (there isn't enough sidewalk here yet for this, they are all still quite snow covered, but here's to hoping!). All you need for this project is: Dixie cups, plaster of paris, tempera paint, petroleum jelly, a disposable plastic container and a disposable utensil for stirring. The "recipe" is essentially: one part water + two parts plaster of paris + enough tempera paint to achieve the color of your liking. 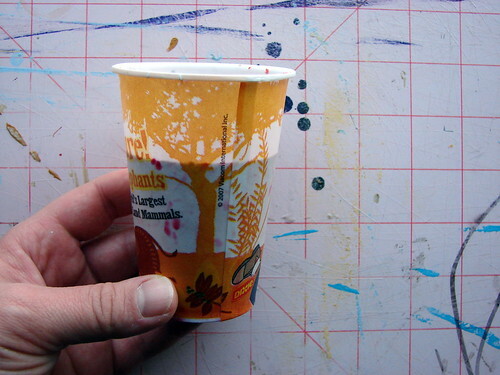 The first step is actually to wipe down the inside of your Dixie cups with petroleum jelly (this will make it easier to get the chalk out once hardened). 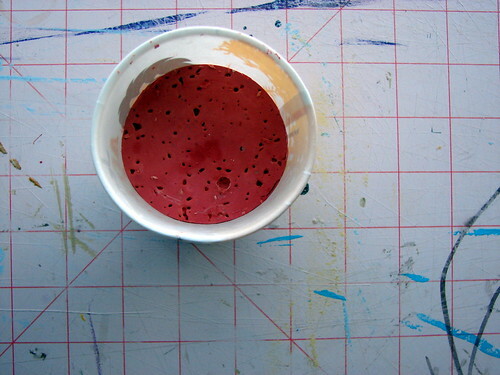 After you line the inside of your cups with the petroleum jelly, very carefully (so you do not inhale the dust of the plaster of paris) pour two Dixie cups of plaster of paris into your plastic container and add one Dixie cup of water. Stir until well blended, the mixture will have the texture of a paste. 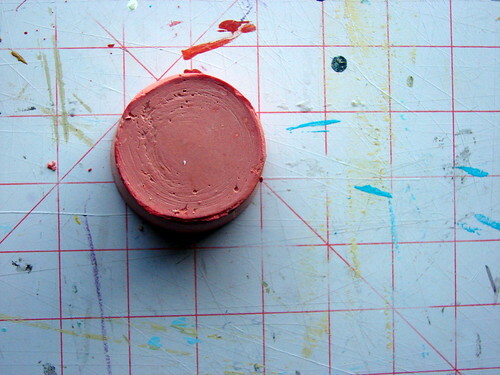 Add your tempera paint at this time until you achieve the color of your liking and set aside for at least 24 hours to harden. 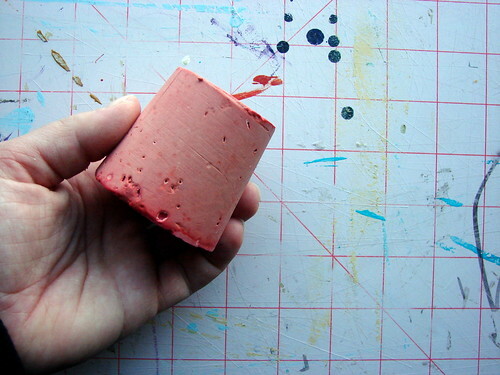 Once dry and hardened you can tear your cup apart and reveal your very own handmade chalk! Super cool project and an easy one too. I also saw that a woman suggested using plastic easter eggs as molds for your sidewalk chalk for Spring. You can get her "how to" here. 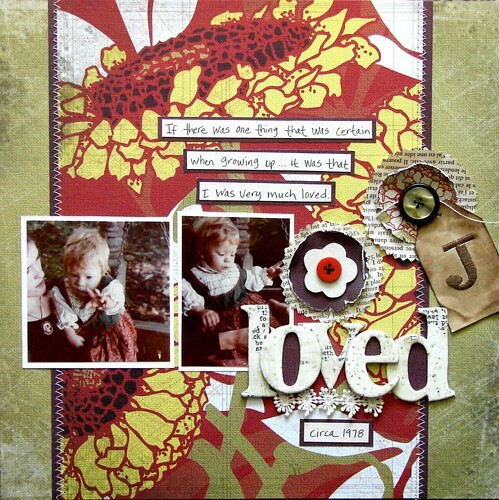 And then I just wanted to share a layout that I did using the March kit from Scrapbook Circle. 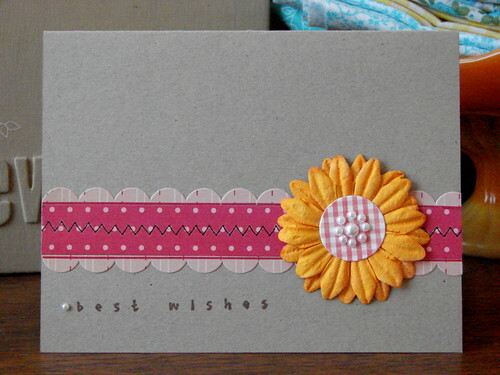 It's a pretty simple one, used lots of the cardstock stickers on this one by Pebbles, Inc. 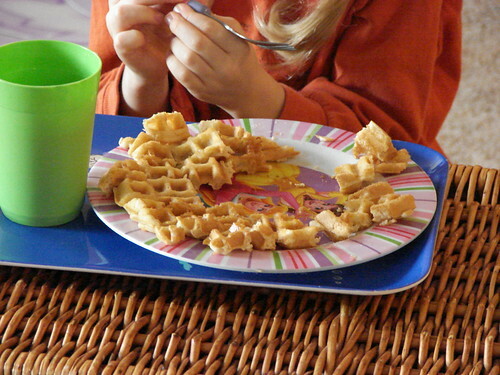 This morning was our morning to have waffles or pancakes (Zoey's choice, this morning it was waffles) at home...love Thursday mornings for just the reason that it's the one morning that Zoey and I get to spend together and have no specific "agenda" that is looming. I know that next year I'm really going to miss this with her being in Kindergarten all week...so I'm trying to take advantage of this time we have now the best I can. 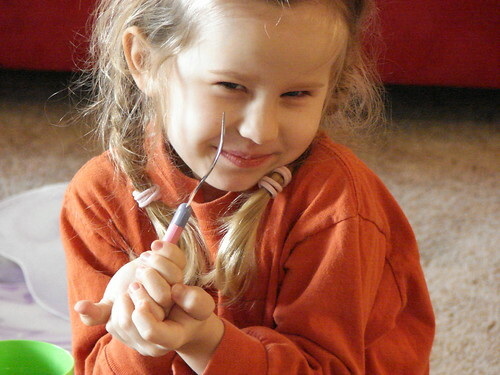 Speaking of which, I have someone who is wanting to do some painting with me! Have a great day! It was finally clean enough to take pictures..ha! 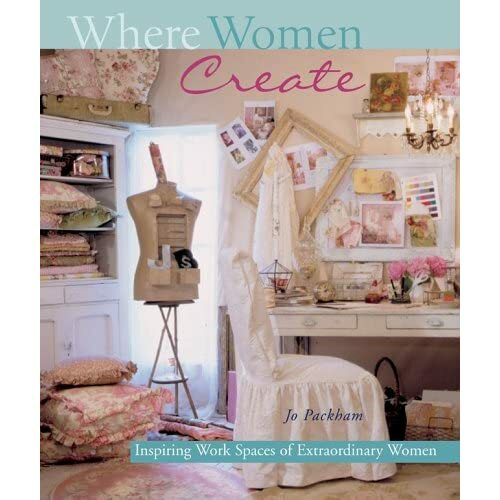 I've been enjoying the quarterly issues of the magazine Where Women Create thanks to my blogging friend Lisa, and actually just requested the book (which the magazines are based from) Where Women Create from my public library. In the meantime I thought since my space was clean (I was serious about that) I would share some pictures of where it is that I spend my time being crafty. I have a very small space (approximately 8 ft x 6ft) just off of our living room, so I really needed my space to be functional but also wanted it to be pretty and full of the things that I love and that actually mean something to me and serve some sort of purpose as well. This is what I've come up with so far and it's worked out just beautifully...one of my favorite things about this space is all the natural lighting that I get from the window that is included in my little nook and that Zoey has a special place right within this space to create in as well. 1. Picture of my space taken from the living room. The wicker trunk in front of my small bookcase is filled with Zoey's trains and other toys, you can kind of see that I hung a curtain in front of my bookcase (this hides baskets of supplies: stamps, inks, stickers, adhesives, brads, gems, etc.) from this view and is open on the other side for easy access. The tall, skinny cabinet to the left of my bookcase houses bottled adhesives, resins, matte finishes and my Cuttlebug, Bind-It-All and jewelry making supplies. 2. Picture of a scale that I got from the bakery that I used to work at. I love it and it sits on my desk and is perfect for holding a tray filled with little bits of things that are somewhat newer that I want to keep out and about for the sake of use. 3. On top of my standing paper rack I have a metal basket that I found at one of my favorite antique stores that holds all of my punches and my Crop-A-Dile. Behind this basket my paint is stored in an old wooden coca cola bottle box. 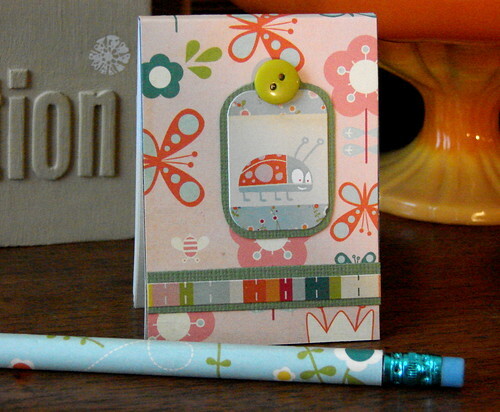 I got this tip from Erikia Ghumm (I LOVE her craft room so much!). 4. I found this metal star at a thrift shop and hung it on the wall to display some of my favorite vintage trims that I've picked up along the way. 5. View of my desk where I do most of my work. The wooden display shelf was also something that I got from the bakery - originally meant to display decorative plates - it's perfect for storing mini albums, loose art journal pages and much more. 6. This is just a cool vase that I found (again at my fave antique store) and I use it to store recent cards and tags that I have made. 7. On top of my secretary desk (more about that later) I have scraps of fabric, some of the mini's that I've made and I framed some of my favorite papers (by Anna Griffin) into cool frames and display them here as well. 8. Here is a shot of my secretary desk as well as Zoey's (the smaller on the right). I was so tickled to have found this small child's version secretary desk at flea market last summer and it's been positively perfect for Zoey. It's been awesome for the both of us to have a place to sit down together and "work." She loves the fact that she is included right with me in my creative space. My secretary desk is actually a piece of furniture that was given to me from my father. 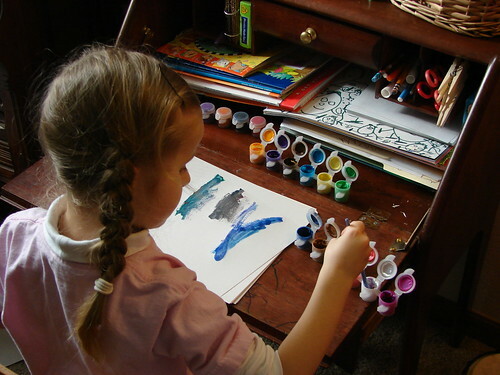 It's the one thing that as a child I remember really loving and being intrigued by (I loved all the little slots and drawers and hiding places in the inside of the desk), so I was beyond happy when my dad said that I could have it. There is a bit of history attached to it as well...it was brought over from India by my dad's great grandfather who was a missionary there for quite some time. My dad's father was actually born there...so that makes this piece all the more special to me. 9. Picture of my secretary desk opened (inside the shelves I have jars of small embellishments and inside the drawers I have adhesives and small tools. The longer two drawers is where I store most of my paper scraps. The standing slots house publications that I refer too often and project instructions/tutorials that I've created). 11. Another view from the living room. 12. Stickers, tags and labels I store in an office clip on my desk. 13. Had to throw another photo in here for this collage so this is yet another photo taken from the living room! 14. Top view of my secretary desk. 15. On top of my small bookcase is where I currently have my sewing machine and where I actually do my sewing as well. It's not the best set-up, but it's working right now until I find a sewing table that I absolutely love and that will fit in this space. 16. Hanging baskets store little bits and things above my small cabinet and desk area. Erikia Ghumm's - love that her's is in a small attic and I looooooooooooove her ecclectic, bright and fun taste and I also share her phobia of any and all plastic storage containers! Candace Stringham's - love that it's so small (the dimension's are the same as mine!) 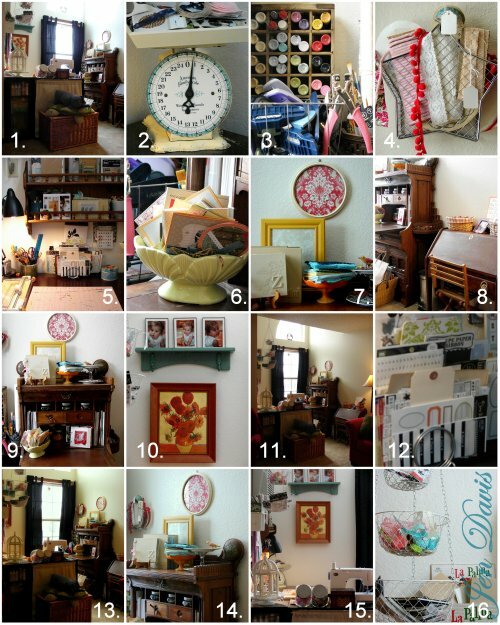 and that she's super organized...I love the idea of putting up chicken wire on one wall for clipping things to! This girl has an adorable space and take a look at all her fabric here! 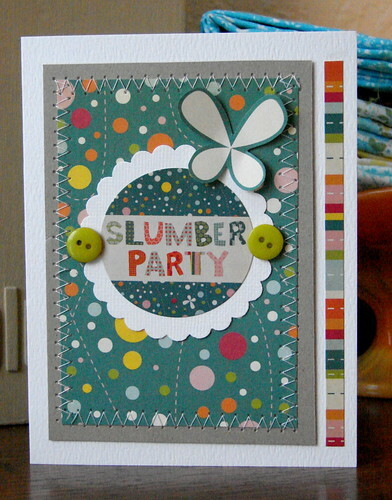 Shabby Scraps room is just so sweet, isn't it almost blissful? I'm not sure I could actually get down and dirty and into a painting project in there though...doesn't make me love it any less! Tara Whitney's space is so open and organized looking and I love all the natural lighting that she has...and someday I will have some of my own library index card drawers! And lastly...this video that Emily's husband did of her creative space is just priceless. I was laughing out loud and yes, I made Ethan watch it too...just for the sake of him knowing that I was not the only mildly insane woman out there who refer's to their husband as "dh" whenever on the internet.